For summer 2017 Gudrun Sjödén has been inspired by the south of France and its plains, sea and Vincent van Gogh’s sunflowers and irises. “A trip to the Vincent van Gogh Museum in Amsterdam brought all the flowers out in bloom for the summer collection. In sunny yellow, orange, a slightly cooler indigo blue, natural and black. And most of it, as ever, in organic cotton. All our photoshoots were on the plains of the Camargue and around Arles, where Van Gogh spent his most productive year”, – CEO and founder Gudrun Sjödén. The summer campaign and collection will reach Gudrun Sjödén’s customers on 27 March 2017. Gudrun Sjödén Design currently has customers in 52 countries. The brand is retailed via the distinctive catalogues, a webshop and own-label stores in Sweden, Norway, Finland, Denmark, Germany, the UK, the Netherlands, Switzerland, Austria and the US. 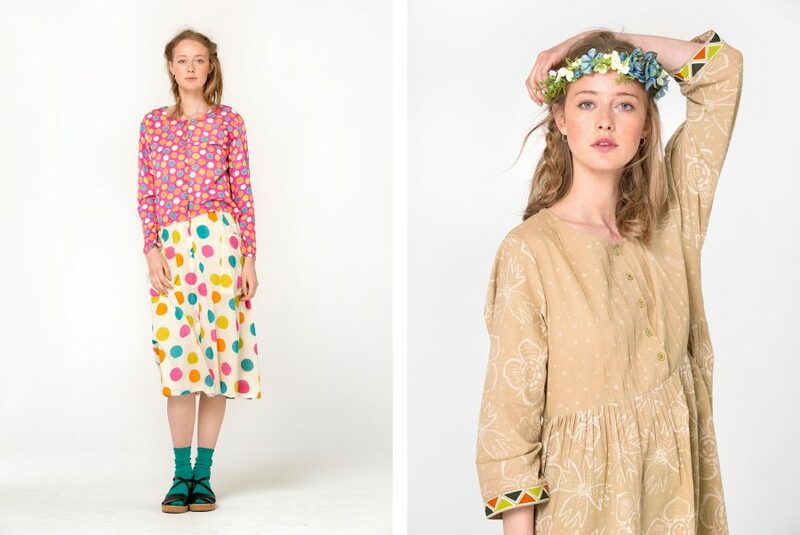 FLOWERS, THE WILDS OF NATURE & THE OCEAN: Like Vincent van Gogh, Gudrun Sjödén was inspired in this summer’s collection by sunflowers and irises. The ANEMONE motif is the signature design in sunny yellow and orange, slightly cooler indigo blue and natural. Another range featuring large, rampant green leaves, in airy crepe was named EDENS LUSTGÅRD, meaning ‘The Garden of Eden’. CRAFTSMANSHIP & THE OCEAN: In one range of styles in woven cotton, Gudrun and her design team experimented with textile techniques and mixed fabrics. Traditional block prints are interspersed with conventional stripes. All in organic cotton. The clean lines of the classic stripes in indigo, cocoa and black are complemented by appealing styles in linen/eco-cotton. COLOUR BRIGHTS & RECYCLED COTTON: We are particularly proud of our essentials range in bright shades, made from recycled cotton. The same yarn is used for the dress, tops and the rustic jersey styles. The yarn is spun from 65% recycled surplus fibre from the textile industry to produce a new yarn. The material is sorted by colour, broken down into its constituent fibres, and then spun into brand new yarns. 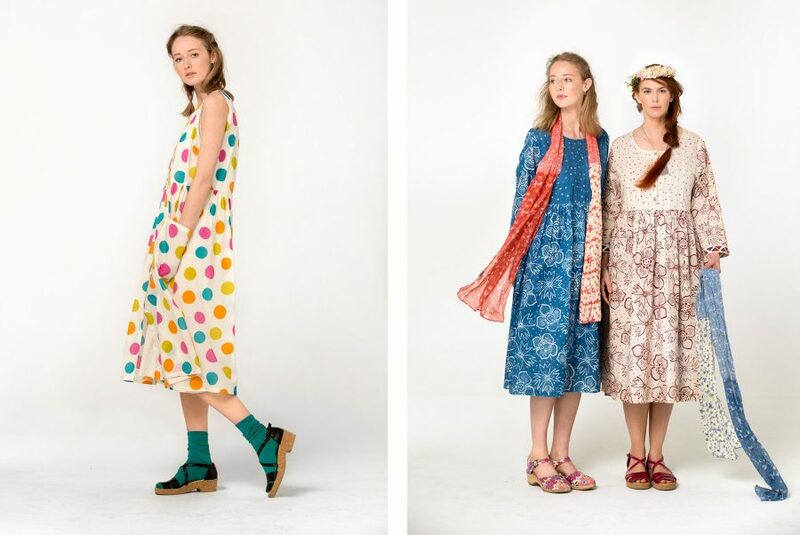 CELEBRATING 25 YEARS OF ORGANIC COTTON ESSENTIALS & UNIQUE ACCESSORIES: Combine the summer collection with Gudrun’s large essentials collection and accessories in a wide range of colours. 93% of Gudrun Sjödén’s products are now made from sustainable materials. This year we’re celebrating 25 years of organic cotton production in Greece – Hurray! GUDRUN SJÖDÉN: FOUR DECADES OF COLOUR & DESIGN: Gudrun Sjödén opened her first store in Stockholm in 1976. The brand concept then as now is comfortable, colourful clothes in natural materials with Nordic design influences. But much has happened over the years. Gudrun Sjödén has long been committed to using more sustainable and eco-friendly materials. Meanwhile, the customer base is growing all the time. Today, the clothes are sold via the webshop and catalogues to customers in 52 markets, of which Germany, the UK and US are the fastest-growing. Gudrun Sjödén has received many accolades as a designer and entrepreneur, and has been the no. 1 Swedish fashion label export for several years.